Some detectives are devotés of ale and beer, like Colin Dexter's Inspector Morse, Reginald Hill's Andy Dalziel and Rex Stout's Nero Wolfe. Others, like Lord Peter Wimsey, are wine experts. The whisky-drinking PI is a cliché of the hardboiled subgenre. The troubled alcoholic detective, like Lawrence Block's Matt Scudder, Ian Rankin's John Rebus and Jo Nesbø's Harry Hole, has become commonplace. But what about a detective who just enjoys a good cocktail––and who might give us some tips? I have to start my quest with Dashiell Hammett's Nick and Nora Charles. 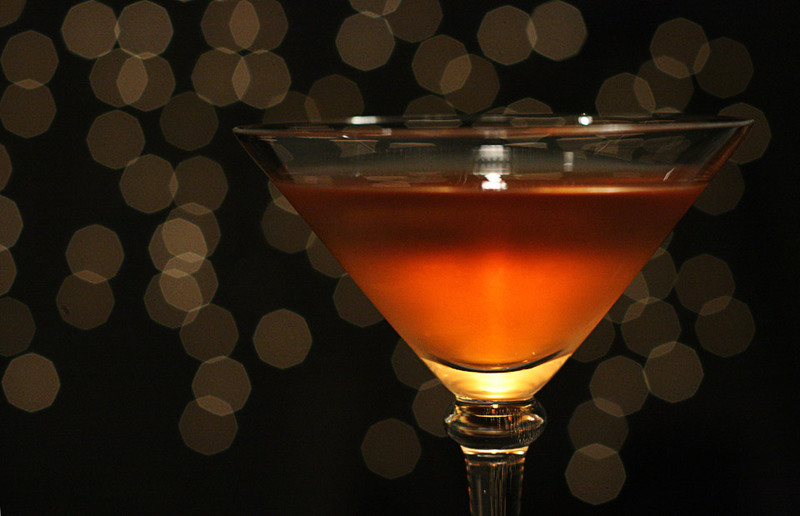 No characters in detective fiction are better known for drinking cocktails. 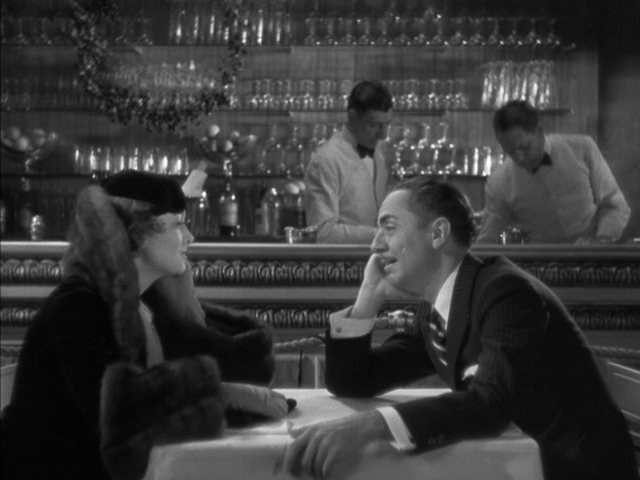 In the film of The Thin Man, Martinis and Rye Highballs seem to be their tipples of choice. The Charleses have a glass in hand even more in the book than in the movie, but Hammett has the frustrating habit of referring to "a drink" or "a cocktail" rather than enlightening us, mixology-wise. We do get the occasional tantalizing references to Scotch and a soda siphon and, elsewhere, to a cocktail shaker, but that's about it. It appears we'll have to look for inspiration elsewhere. On screen, James Bond is legendary for his shaken-not-stirred Martinis. In Ian Fleming's books, he does drink a lot of Martinis; oddly, sometimes with gin, sometimes with vodka. I don't know anybody in real life who goes from one kind to the other. You're either a real Martini drinker––in which case you make it with gin (80-proof, not 90-proof jet fuel)––or you have a fear of flavor, in which case you make it with vodka. Shake well with ice, strain into a deep champagne goblet and garnish with lemon peel. Don't get the idea that Ian Fleming's James Bond is just a Martini man, though. He knows his way around every shelf behind the cocktail bar. Bond enjoys his Bourbon and Scotch, and even indulges in mixed drinks that verge on the girly side, like the Old Fashioned and the Stinger. I like to indulge in classic cocktails like the Old Fashioned myself, and a Stinger hits the spot every now and then. Maybe you'd enjoy one. Pour ingredients into an Old Fashioned glass with crushed ice and stir, or shake ingredients with ice and strain into a cocktail glass. Kerry Greenwood's Phryne Fisher is a 1920s femme fatale and a private investigator in Melbourne, Australia. 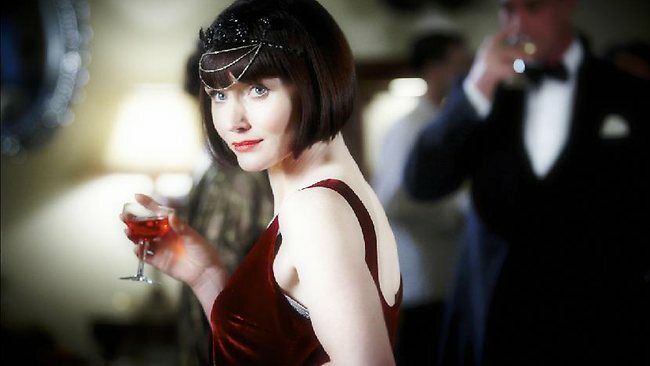 It wouldn't be quite proper for even a convention-breaker like Phryne to hang around cocktail bars. Fortunately, she doesn't have to. She has a liquor cabinet at home that would rival any cocktail bar's and, more important, she has that supreme mixologist, Mr. Butler, on hand 24 hours a day. Like most modern authors, Kerry Greenwood is media savvy and has created a website for Phryne. She also knows what's important in life and has an entire section of the site devoted to Mr. Butler's concoctions. Some of these are classics, like the Old Fashioned, the Sidecar and the Martini. For parties, Mr. Butler likes to serve Champagne Punch or Sherry Cobbler. When mixing cocktails for empty-headed blondes, he prescribes a Fallen Angel, made with gin, lemon juice, creme de menthe and a dash of bitters; or a Maiden's Prayer, made with gin, Cointreau and orange juice. 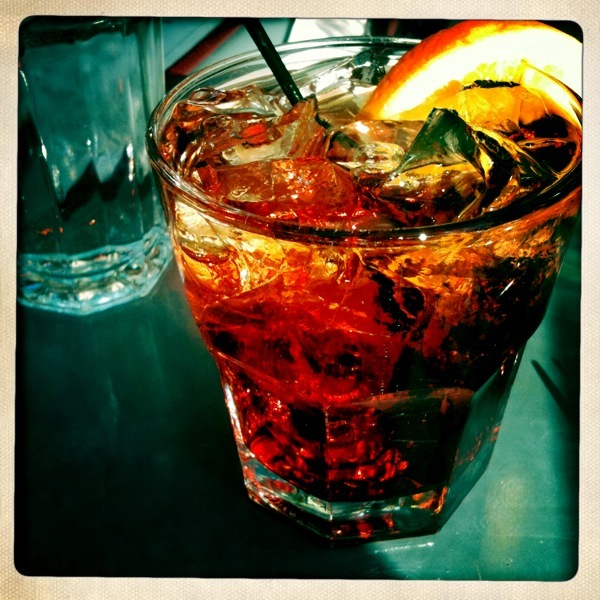 For the more discerning drinker, Mr. Butler suggests the Negroni. Pour ingredients into a tumbler filled with ice, add sparkling water and stir gently. Despite his expertise with a cocktail shaker, Mr. Butler never touches mixed drinks. He prefers a good aged port. The Gimlet, a shimmering, mesmerizingly pale-green libation, is said––according to one dubious-sounding legend––to have been created by a surgeon in the British Navy named Gimlette. The drink is a mixture of gin and lime juice, which would presumably have been handy for battling scurvy. It probably didn't help so much for scrambling up the rigging, though. Anyway, skip forward in time and head west to the U.S., where Raymond Chandler made the Gimlet a favorite of his detective, Philip Marlowe. In The Long Goodbye, Marlowe declared that a real Gimlet is half gin and half Rose's Lime Juice. I'm shaking my head at that one. I can't figure out how a tough guy like Marlowe could drink something as godawful sweet as that. Maybe he needed that much sweetened lime juice to overpower the taste of bathtub gin? Shake with ice and strain into a chilled Martini glass. Garnish with a lime wedge. I'll leave you with a recipe for my husband's favorite Martini, a smooth and golden beauty, and a reminder that no matter what time it is as you read this, it's five o'clock somewhere!